Simple and sophisticated, the Roscoe bed is perfect for breathing new life into your bedroom. Upholstered in an elegant fabric, choose from two stylish shades. 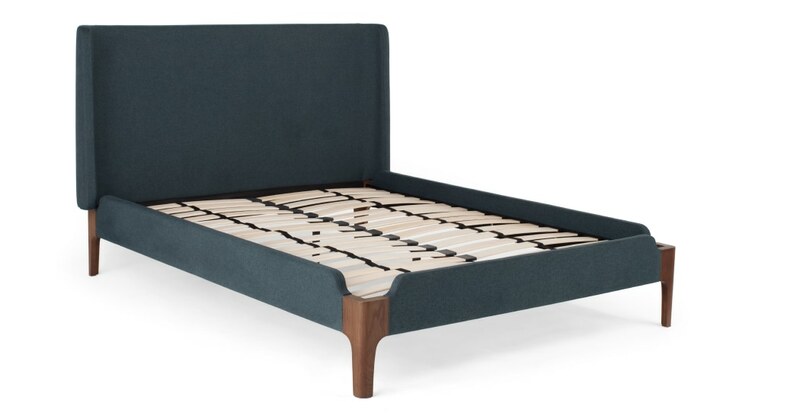 Roscoe’s clean lines and dark stained feet give this bed more than a hint of Nordic charm. And the best bit? The price. This bed combines high-end looks with a pocket-friendly price. Our manufacturers crafted this bed with comfort and quality in mind. Which is why it's fitted with a padded and upholstered headboard, with sprung birch slats.